To be part of the event as SPONSOR or EXHIBITOR contact us for more information. The venue is INSELHALLE LINDAU, a convention center on the magical Lindau Island, in the three corner land between Germany, Austria and Switzerland. This convention center is the setting where the Nobel Prize for Young Scientists is given. The main core of the venue has an area of 1,013 m2 and offers space for more then 1,000 people. This will be the the auditorium for the SUMMIT and the LIVE MUSIC. The second largest area of the venue has 450 m2 and offers space for around 50 EXHIBITORS. To be part of the event as SPONSOR or EXHIBITOR contact us for more information. The third largest area of the venue has 176 m2 and offers space for approximately 200 people. This will be the area for WORKSHOPS. An additional 50 m2 room is available for book signing area as well as meet & great. 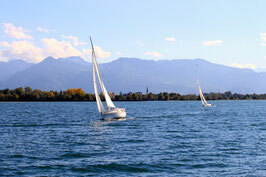 From the A96 motorway, exit at "Lindau" and follow the signs to "Lindau Insel" (Lindau Island). After crossing the bridge, stay on the main road. At your right hand you will see the car park "Inselhalle". 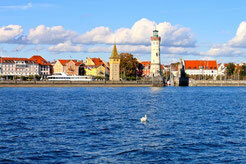 The Central Station is only a few minutes walk from the venue Inselhalle Lindau. 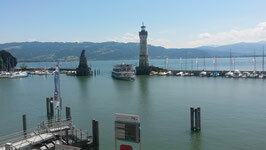 There are good and frequent connections to Lindau. In Germany from Munich, Friedrichshafen, Stuttgart, Leipzig and Nürnberg. 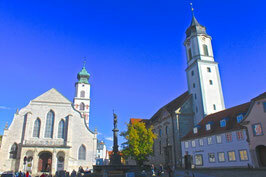 In Austria form Salzburg & Linz. In Switzerland from Zurich airport. 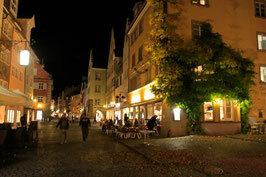 There are different types of accommodation in Lindau Island, from 5-star hotels to apartments which are called "Ferienwohnungen". 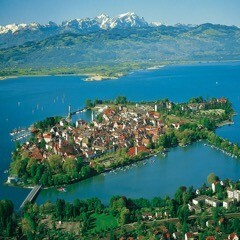 There are further accommodations in Bregenz (Austria) or in Friedrichshafen (Germany) . 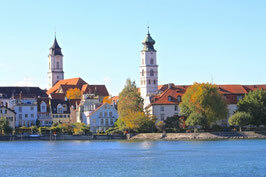 There are good and frequent train connections between both cities and Lindau Island.